Use the form below to Inquire More or Reserve Uganda Game Tracker. From spotting rare mountain gorillas in the wild through the mist of dense rainforest, to witnessing herds of elephants roam over the vast savannah, you’ll connect with the wild heart of Africa in every sense. 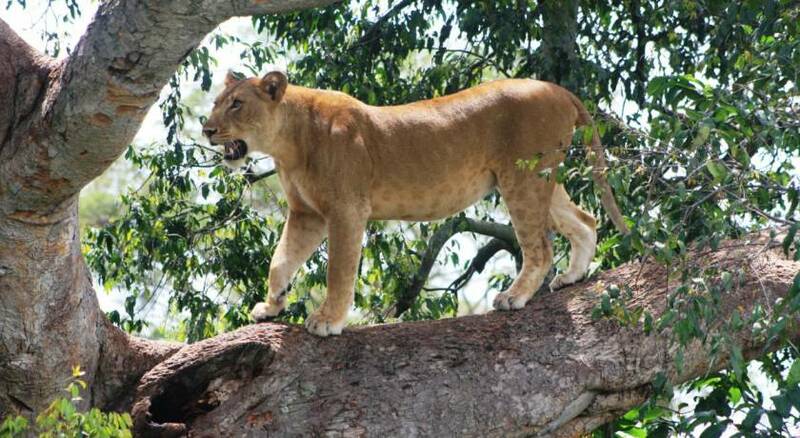 Experience the vibrancy of Ugandan city life in the country’s busy capital of Kampala, and travel to the extreme center of the equator and through dense tracts of tropical rainforest in lake Mburo National Park. 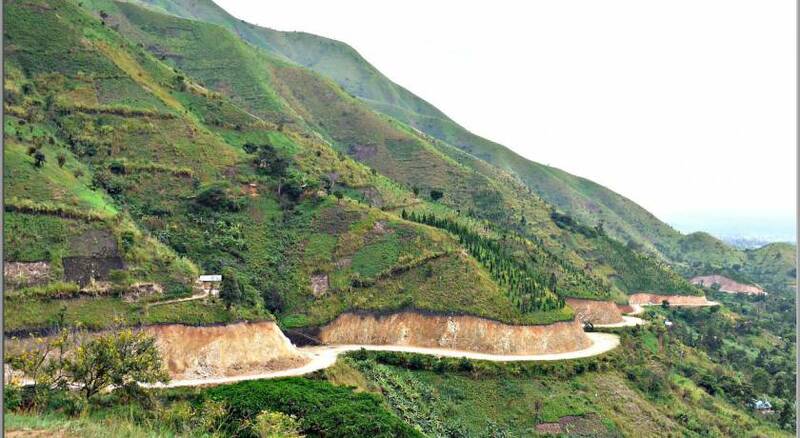 You’ll also hike deep into Bwindi Impenetrable National Park in search of wild mountain gorillas; try to spot an elusive tree-climbing lion and track elephants, buffaloes, lions and antelopes in Queen Elizabeth National Park; explore the rainforest in Semliki National Park that’s home to wild chimpanzees; watch hippos and crocodiles at the foot of Murchinson Falls; and visit the Ziwa Rhino Sanctuary for an afternoon tracking wild rhinos. This is the ultimate trip for wildlife lovers, and your expert team of local guides, trackers and private drivers will ensure you get the most out of every experience. You’ll also soak in plenty of Uganda’s human culture with visits to artisan workshops and local schools where you’ll receive a hero’s welcome from excited students. 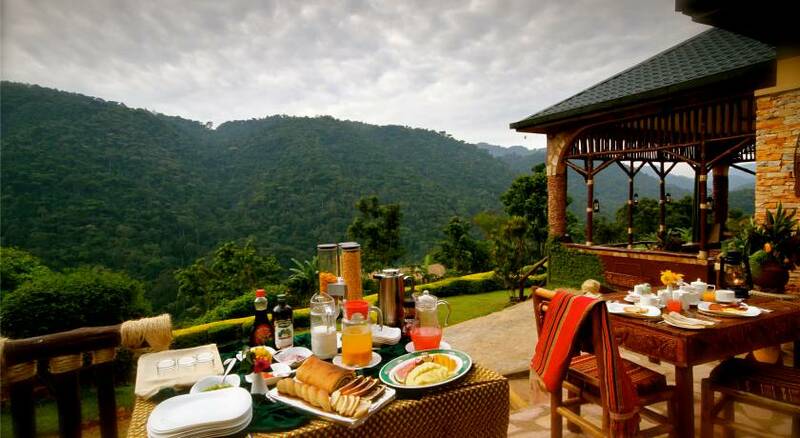 Experience Uganda’s finest food and service in a collection of world-class luxury safari camps and remote lodges. Enjoy a game drive to view the parks’ plains, game and birds in their evening habitats, when they are usually the most active. Return to lodge in time to freshen up for dinner. Enjoy your private transfer from Bwindi to Queen Elizabeth National Park. The approximate travel time is 4 to 5 hours. 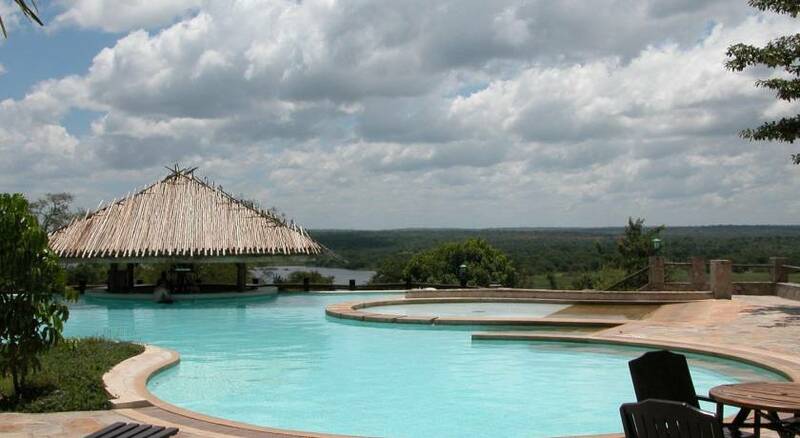 Mweya Safari Lodge is located in the Queen Elizabeth National Park, which boasts numerous unique attractions, in addition to all the game viewing and ornithology, which have become synonymous with the term safari. 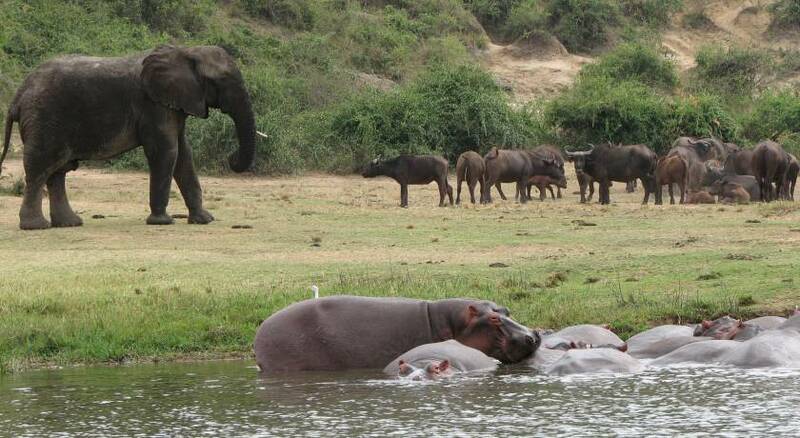 Enjoy a morning game drive in Queen Elizabeth National Park. The Park has several spots stretching over 200kms of well maintained game viewing tracks. The best time for game drives is in the morning hours where there are high chances of seeing elephants, buffaloes, lion and a variety of antelopes and other wildlife. The boat cruise on the Kazinga channel usually lasts for 2 hours and it gives visitors the opportunity to see a variety of yawning hippos in water, water birds, buffaloes, elephants, zebras, the Uganda-kobs, topis, water bucks, bush bucks, reed bucks, duiker, mongoose, swamp antelopes, spotted hyena, warthog, forest hog and in difficult routes in the south. 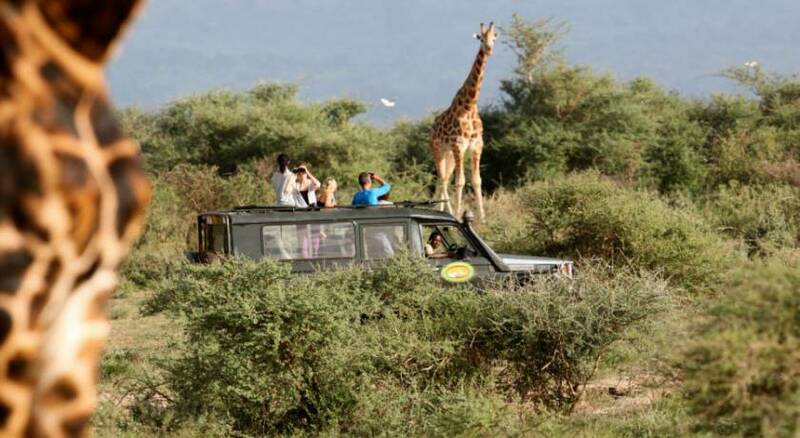 Enjoy an early morning game drive before setting off to Semliki National Park. The drive will take approximately 4 hours. Semliki Safari Lodge is situated in the Semliki Valley Wildlife Reserve (formerly called Toro Game Reserve), in the Western Rift Valley. It is the only accommodation in over 500 square kilometres of wilderness, offering a truly private experience. Built out of local materials, the lodge has a feeling of traditional rustic without losing that all-important comfort. Walk down into the beautiful gallery rainforest to track wild chimpanzees. These are usually tracked at dawn or dusk due to the fact that these apes tend to disappear in the middle of the day. 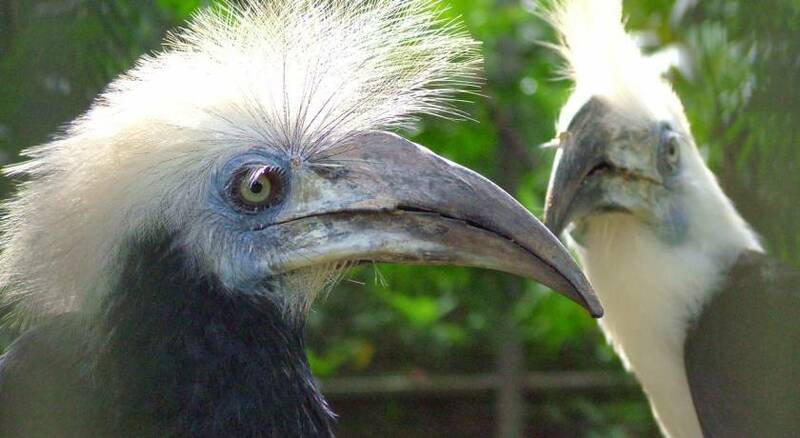 There are also a number of bird species which are found in this picturesque forest. Retire from the chimp tracking and then in the afternoon you may relax at the pool or go for a game drive as you watch the sun set. Depart early this morning for Murchison Falls. On arrival at the park, you will pass over the top the falls for a great view. Approximate travel time is 7 hours. Paraa Safari Lodge is in Murchison Falls National Park, North West Uganda. 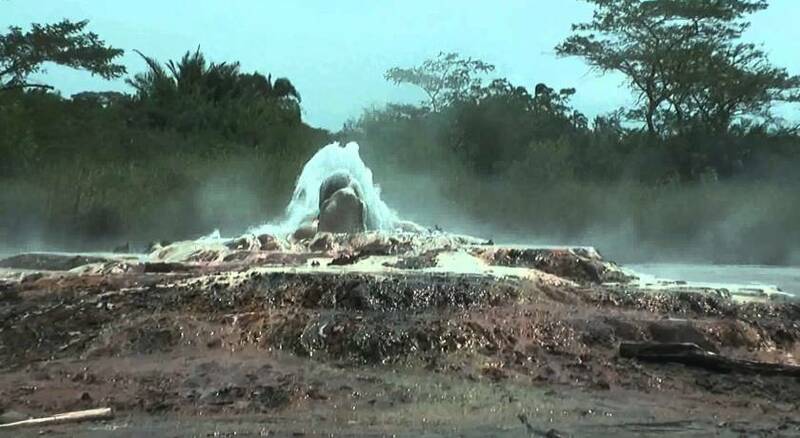 The 40 metre wide River Nile, on it’s journey from its source at Lake Victoria to join Lake Albert, is suddenly compressed into a gorge only six meters wide, and cascades into a boiling pot 43 metres below. The earth literally trembles at Murchison Falls, one of the world’s most powerful flows of natural water. 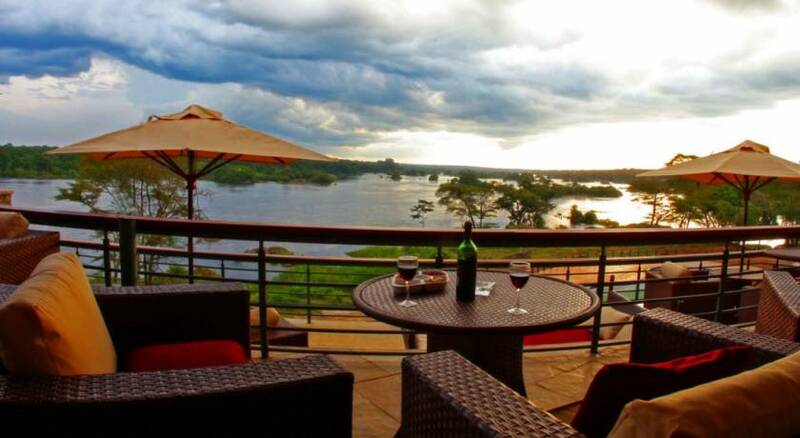 Elevated high above the Falls on the north side of the river, the historical Paraa Safari Lodge enjoys simply astounding views. The lodge is one hour flight from Entebbe or six hours drive by road. In the cool early morning before the sun rises too high, you will see plenty of game on the Buligi, Albert and Queen’s tracks north of the River Nile. The bulk of Murchison falls wildlife is concentrated to the northern bank of the Nile, and the best for game drives is the circuit of tracks that run west from the ferry jet at Paraa to the Lake Albert Delta. Enjoy a boat excursion today from lodge to the foot of Murchison Falls. Hippos and crocodiles are abundant, and you will see elephants, buffaloes, waterbucks and birds like; Herons, Cormorants, Ducks, Bee-eaters, Fish Eagles, Kingfishers, and the rare Shoebill. The trip from Para to the Falls and back takes about three hours. A boat trip to the Delta where the Victoria Nile engorges into the Lake Albert leads through papyrus swamps. The trips takes about four to five hours and you will see a similar variety of animals and birds. After breakfast you will depart for Kampala. En-route, you will stop at Ziwa Rhino Sanctuary for an afternoon rhino tracking venture which is approximately three hours from Murchison Falls. Kampala is an additional two hour drive from Nakasongola. Please talk to your Tsavorite Tours Travel Consultant if you wish to overnight at the Sanctuary. Please note lodging is simple with en-suite bathrooms. One of the trained rangers will meet you upon arrival and give you an introduction to the Ziwa Rhino Sanctuary. Depending on where the rhinos happen to be when you arrive, you will drive to the closest location and then approach the rhinos on foot. You will then have an opportunity to observe the rhinos in their habitat at a very close, and very safe, distance. The animals are magnificent and the opportunity to see them up close is truly one not to be missed. The tracking excursion lasts on average between 1-2 hours.